Glock has become the standard by which others are judged. They recently introduced their fourth generation revision of the original which is sure to take its place alongside all previous issues as a reliable semi automatic pistol that should be in any collection. The Glock has been modified several times beginning in 1988 when they introduced their second generation line in an effort to meet American ATF standards. Then again in 1991 their third generation line introduced an accessory rail that allowed the attachment of laser sights, and a loaded chamber indicator. Glock introduced what is known as their “Gen 4” at the 2010 Shot Show in Las Vegas. Some of the most dramatic changes include a narrower design, multiple back straps to customize the fit to your hand, a new Rough Textured Grip, larger magazine release, and most dramatic is the dual recoil spring that reduces the recoil from earlier generations. According to Guns America, “Whenever a tried and true model gets an update, everyone wants to know how you improve on something that already works pretty well as is”. 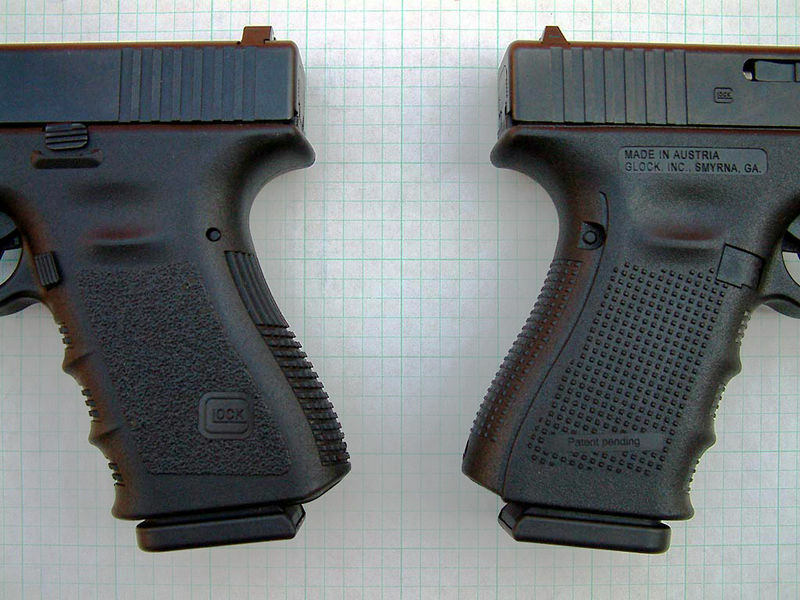 About a year ago, Glock launched what has now been dubbed the “Gen 4″ version of their pistols. It started in the full-size 9mm and .40 S&W pistols (Model 17 and 22), and has since progressed into the compact (19 and 23), the subcompact (G26 and 27) and now into the “Practical Tactical” models (35 & 34). This new version of the Glock line has been both lauded by some, or “poo-poo’ed” by others, based on their viewpoints, and the early performance of the pistols. The new Gen 4 pistols have a plethora of new goodies, such as new grip texturing, multiple back straps to adapt to different hand sizes, a new recoil system, and an enlarged / reversible magazine release for left-handed shooters. We at Gun Enthusiast Speaks, feel that the improvements will work to further cement Glock’s place as the leader in polymer pistols. The improvements are not superficial and those who have been disappointed by the amount of recoil from the lighter weight of a polymer frame pistol should be pleasantly surprised. Lefties will enjoy the larger switchable magazine release, and women should embrace the smaller, thinner grip. Again Glock is leading the way. 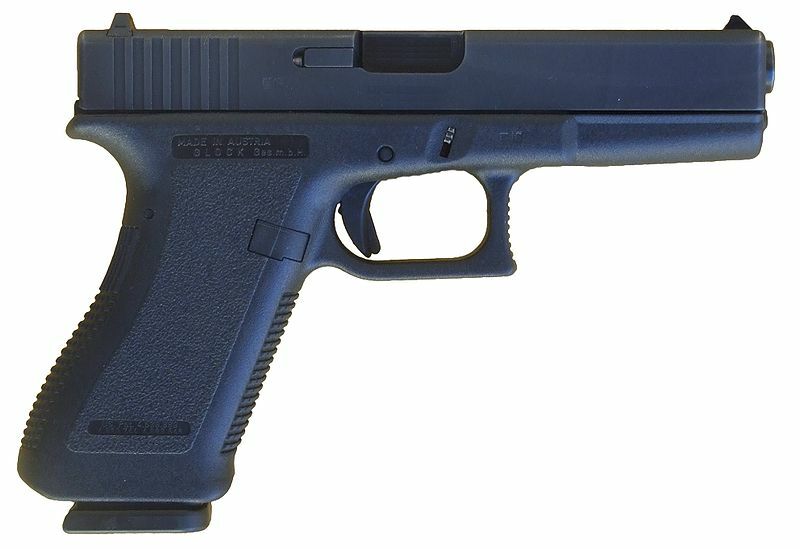 For more information of the Glock “Gen 4” you can visit the Glock website. With rumors, innuendo, accusations, and Congressional hearings prominent in the headlines over the Project Gunrunner scandal, we now hear that the Mexican Drug Cartels are still finding all of the guns they need to keep themselves well armed and deadly in Mexico. 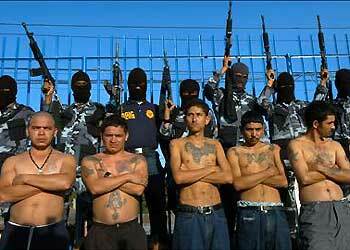 Only this time, they are getting their guns from Central America. President Obama is claiming that a “lack of gun control laws is the problem”. It is illegal for the citizens of Mexico to own or possess guns larger than a .22 but that does not stop the criminals from obtaining all the guns they need. Since the only guns in Mexico are in the hands of the government or the criminals, Mexican citizens have no way to defend themselves against the drug lords. More and more citizens are supporting the drug cartels as the healthier way to live among them. hands of Mexican drug runners and criminals, all while the guns they are purchasing are coming from Central America and not the United States. The guns they are now getting from south of their border are even more sophisticated than the ones that Obama was able to supply them. Illegal gun dealers providing their market are able to provide fully automatic weapons (machine guns), rocket propelled grenade launchers (RPG) and even land mines – none of which would be available in the U.S. The best they got from the U.S. were semi-automatic weapons. 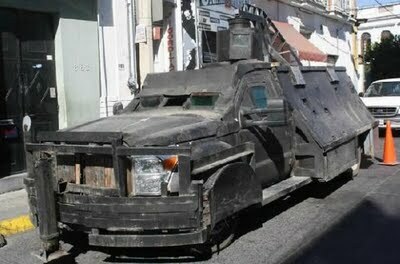 In addition to the heavy arsenal that is now proliferating in Mexico, drug cartels are constructing homemade, armor plated, personnel carriers and tanks with as much as 1” thick steel plating. Many times these vehicles resemble Civil War-era Ironclads on wheels. 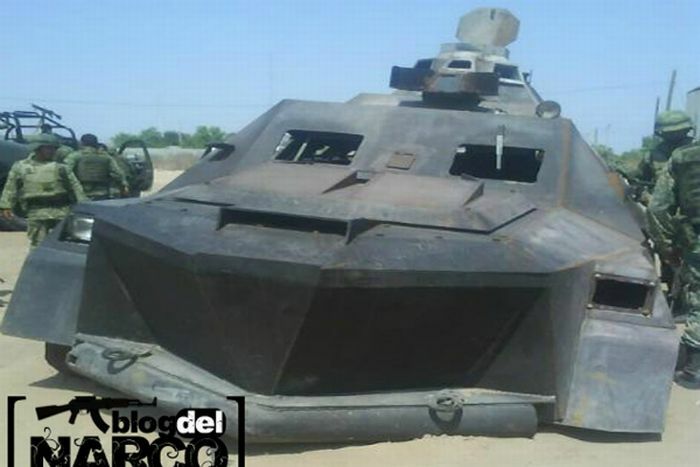 These narco tanks, often called “monstruos” or “monster trucks”, look like a cross between a Somali “technical” and something out of a “Mad Max” movie. Some of them can do 60 mph and drop, James Bond style, nail popping nails or oil slicks to slow down pursuers. Again Mexican President Felipe Calderon is blaming the United States for manufacturing pick-up trucks and sport utility vehicles that can be made into these bullet impervious vehicles. Project Gunrunner was a scheme devised by the Obama Administration to allow the Mexican Drug Cartels to purchase guns here in the U.S. against the better judgment of local gun dealers in a hair brained idea that they would be able to track them into the hands of drug dealers south of the border to see where they end up. Gun dealers here in the U.S. who resisted were pressured by the FBI and BATFE in to allowing the transactions to occur. However, no tracking was ever achieved under this failed plan, other than the fact that at least one weapon that was used to shoot and kill an agent of the United States has been recovered. 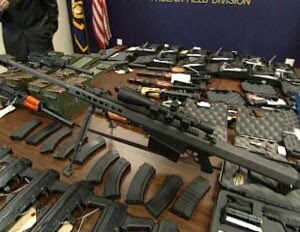 The guns were lost into the bowels of Mexico. Obama is now trying to blame the U.S. gun dealers and the “lack of gun control laws” for the incident, and as a result, liberals in Congress are now calling for a re-instatement of the “assault weapons ban” of the mid 90s and stricter gun laws for the States that border Mexico. The idiocy of the Obama administration continues to amaze me as the lengths to which they will go to bring us closer to a socialistic state. Health care was the first major step into socialism. Now if they can only get the guns out of the hands of the citizens they will have little problem running roughshod over the country. Americans need to wake up vote against liberalism at every opportunity. Whenever you see a candidate on the ballot with “D” after their name, vote for the other guy, whoever it is, and help to save our country. Earlier today AB 144, the bill that would make it illegal to openly carry firearms in California has passed the next hurdle on its way to the senate. In a vote of 4-2 it passed the Senate Public Safety Committee. The bill which is authored by Anthony Portantino (D. – La Cañada) will now be on its way to the Senate Appropriations Committee for fiscal consideration. Open carry has always been legal in California without a permit. The primary consideration is that the gun must be unloaded. Other conditions are that you may not carry in school zones, post offices, state parks and government buildings. If this bill passes it will make it a misdemeanor to carry a weapon openly anywhere in California, that is punishable with 1 year in jail and/or a $1000 fine. As we stated in our earlier post California’s AB 144 To Ban Open Carry, this bill will do nothing to take guns from criminals as they don’t care what laws are in place as they don’t follow them. Law abiding citizens will be the ones to take the brunt of this one though and they will now have no way to legally carry protection without a concealed carry permit. And CCW permits are almost impossible to obtain. Please contact members of the California Senate and voice your opinion on this blatant attack on our Second Amendment rights. For a complete list of California Senators click here.